This manufactured home in Syracuse, NY was suffering from air leaks, poor insulation, and an inefficient heating system. Combined, these issues were taking a big bite out of the homeowners budget. After receiving her no cost home energy assessment from Halco, this customer was qualified to make improvements to her home through available energy saving programs. Halco air sealed the home, insulated the underbelly, and installed this high efficiency furnace at no cost to the customer! Because the crawl space of this Syracuse, NY home was poorly insulated with visibly falling fiberglass insulation, the space was a major source of air infiltration and heat loss. Halco technicians insulated the crawl space walls with closed-cell spray foam and also installed a CleanSpace vapor barrier to the ground. This newly sealed and insulated crawl space will improve indoor air quality by preventing mold, mildew and moisture problems, and will make the home more comfortable and energy efficient! Looking for quotes on adding insulation to our home. I have a limited area for drilling and would like to find out if your system is feasible. Tim had a conventional tank-based water heater and he wasn’t happy with its performance. But thankfully, we were there to install a nice, efficient unit! We have encouraged other owners in this condominium to use your excellent professional services. All the men that came to my house really did a great job. It is rare these days to find a contracting firm as dependable and good natured as HALCO. Thank you for your positive response to all our requirements for a truly professional installation. Very professional, friendly, and understanding. Hard workers. Crew was very polite. I am very much pleased with the workmanship. They are all good people. Everyone and everything was great, very friendly, kind, and answered all my questions. Phil, Jared, and Gary were excellent. They gave me step by step instructions on what they were doing - great job! Your rep was very personable and knew his stuff. EXCELLENT CUSTOMER SERVICE, WE FELT EVERYONE WAS ON THE SAME PAGE AND FINISHED INA TIMELY MANNER. I am very happy - thank you! Every encounter was a pleasure. Great customer service and team was pleasant & thorough. All the work that was completed on my house was immaculate. I was kept in the loop every step of the way. "We had conflicting opinions from the other companies as to..."
"One of the inspectors told me that Halco is a great company..."
Halco is Syracuse, New York's expert HVAC, and home insulation contractor. We provide a variety of renewable energy, home insulation and HVAC services in the Syracuse area. Our trained technicians use only quality products from the best manufacturers in the business to ensure great results. We want to get you ready for the summer with ductless and central air conditioning repair, service, maintenance and tune-ups! Many homeowners don't know that they're paying too much for their energy bill because of poor insulation. When your insulation isn't up to snuff, then air can leak through all sorts of gaps and cracks. When you insulate your home using our SuperAttic system, our experts do an evaluation to pinpoint which areas of your home are the culprits of your air leaks and then fix them using our top-of-the-line spray foam and rigid foam insulation. Let us help make your home more comfortable today! Without the proper HVAC service, your home could be wasting energy and increasing your utility expenses. Worse yet, your home can experience uneven temperatures that will keep you and your family uncomfortable all season long! Don't let this happen to you, book a heating or air conditioning tune-up today to avoid the busy season and keep your rooms' temperature warm and comfortable for the winter months. Halco provides services to almost all HVAC system makes and models and provides 24/7 repair service so you and your family will stay warm! As the go to heating and air conditioning contractor in Syracuse, we take great pride in providing nothing but the best service when it comes to keeping your hvac systems running efficiently. Having a properly functioning heating or cooling system is essential to the comfort of your home throughout all of the seasons. As the fall and winter come into full swing, it's imperative that you have an HVAC contractor you can trust. Whether it's heating system system repairs including furnaces and boilers to replacing your outdated heating system, you can count on Halco to provide quick and effective service. It's imperative that you reach out to a professional as soon as you notice a problem with your home's heating system. Delaying service or repair can result in even more damage to your furnace or boiler that can prove costly. When contacted, our technicians will conduct a thorough evaluation of your heating system before providing you with proper paths for repair. 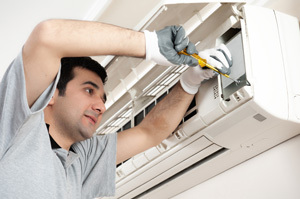 Halco also provides comprehensive tune-ups for all heating system makes and models. If you need to get your heating system replaced, Halco can provide you with the perfect products for your home. Fully replacing your broken or inefficient system can save you significant money when it comes to your energy bill. We work with top equipment manufacturers, including Peerless, Munchkin, Goodman, Navien, and Rinnai. FREE Heating & Cooling Quotes! Most homes are typically equipped with insulation, but more often than not, the current insulation is either incorrect for the area, or there is not enough. At Halco one of our biggest areas of improvements that offer a great ROI is improving the insulation in you home. As an authorized Dr. Energy Saver dealer we have access to the most advanced products and technology on the market to better insulate your home. When it comes to properly insulating your house, we offer a wide variety of insulation products and services designed to work in all areas on your home. We use spray foam, rigid foam, blown in, cellulose, and other types of insulation, and this allows us to seal and better insulate areas such as the attic, basement, crawl space, walls, and even the garage. Proper home insulation and air sealing has proven time and time again to be the most effective way to not only lower energy costs, but create a more comfortable home that you and your family can enjoy for many years to come! This Syracuse, NY home was very drafty and its owners were tired of paying their extremely high energy bills! This drainage system is now finished and the new concrete floor is ready to be poured! We installed drainage matting along the walls that will direct any water down to the WaterGuard system and into their new sump pump. This CleanSpace vapor barrier will completely block moisture entering the basement from the earth below. I purchased a new vanity and need a new trap and piping to the sink installed. It may require cutting a section of the back of the vanity out. We would like a quote to upgrade our gas furnace. Please let me know how soon you would be able to come to our home. Thanks! Blown in attic insulation estimate for my house. Ice Damming on end of roof. Loosing heat. Would love to set up an appointment soon if possible. I want to replace an old inefficient furnace that uses a metal vent and brick chimney with a higher efficiency one that can vent through non-metal pipe. (I want to remove the brick chimney.) I am also going to replace the gas tank water heater with a tankless electric. I would like to get estimates on replacing the furnace alone, as well as the cost of replacing the furnace and water heater together. Thank you. Please have someone contact me about getting an estimate on a solar installation on my house. Thank you. I am seeking quotes for a spray foam installation for a commercial property that I am rehabilitating. I have approximately 3500 sq ft of ceiling that I need to bring up to code. Please contact me to setup a time for your estimator to come view the work. Thank you and good day.